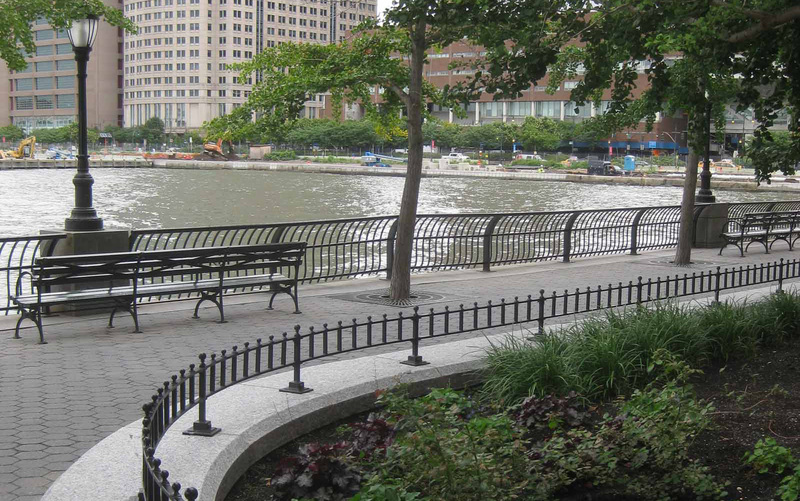 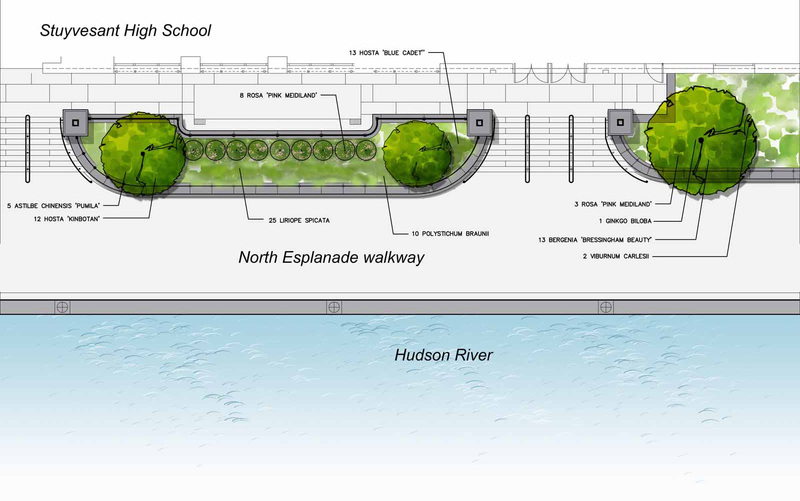 SiteWorks provided both the design and construction administration services for the complete renovation of the North Esplanade Planters, one of Battery Park City’s signature spaces. 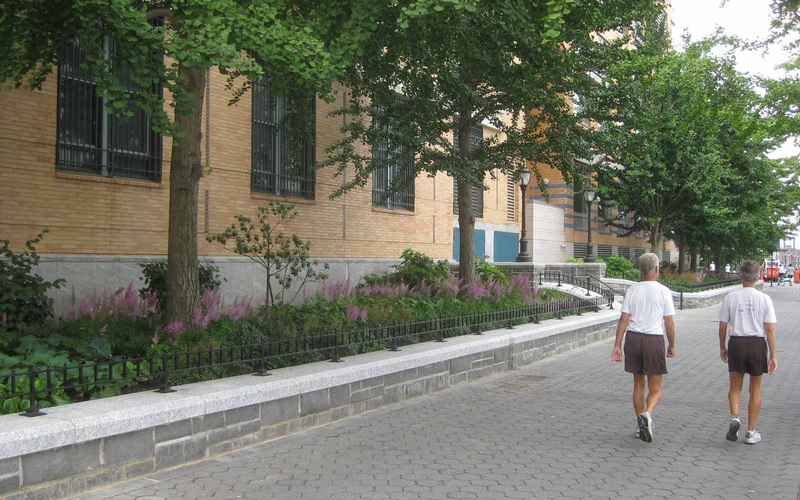 The project scope of work called for the reconstruction of four large existing masonry planters along a busy pedestrian promenade. 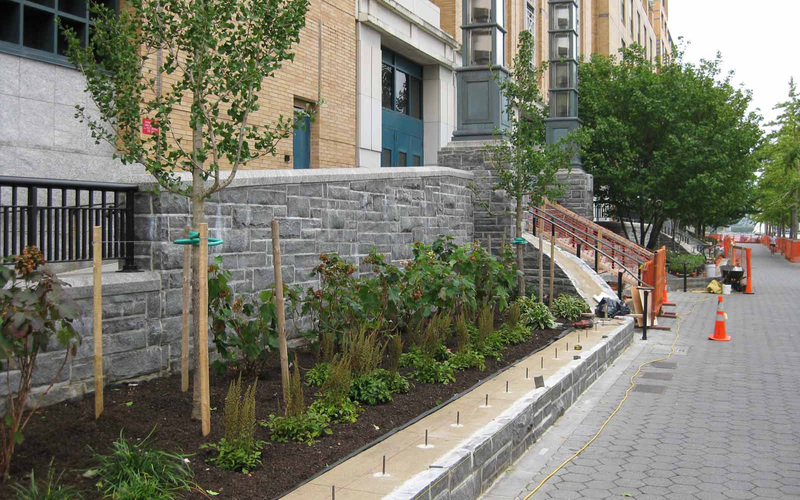 SiteWorks collaborated with the restoration architect for the planter masonry restoration and waterproofing, and provided an improved planting design and construction administration for re-planting. 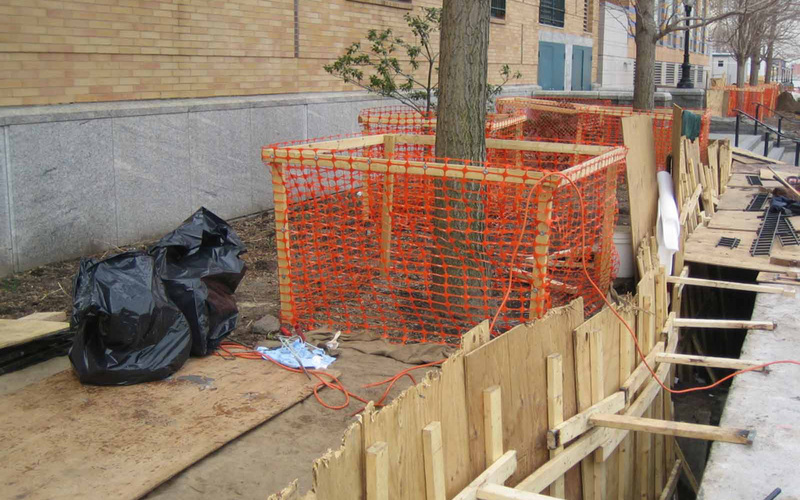 SiteWorks closely coordinated with Battery Park City Parks Conservancy horticultural staff during the demolition phase to salvage the existing soil for reuse after the retaining walls were complete. 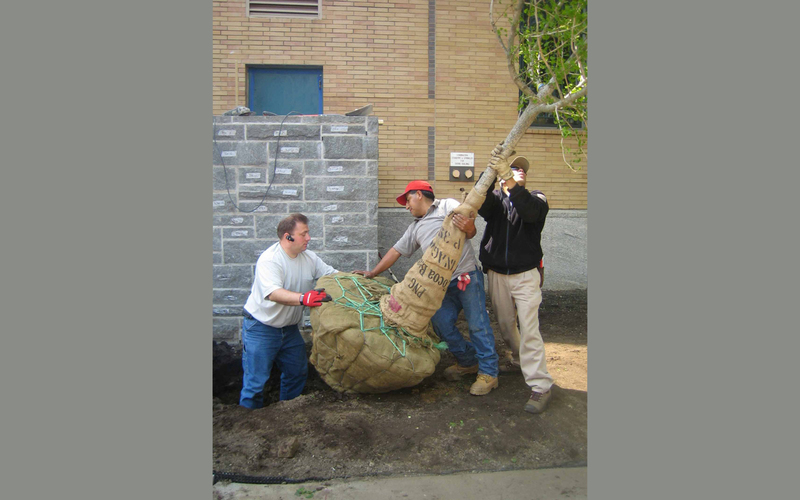 Work was carefully sequenced during the demolition phase to protect several large trees that remained in the planters during the renovations and to preserve valuable planting soils for the subsequent landscape re-installation after the completion of the planter waterproofing.